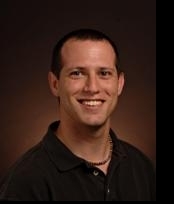 Dr. Levy is an assistant professor in the School of Social and Family Dynamics at Arizona State University, specializing in psychometrics and statistics. He received a Ph.D. in Measurement, Statistics & Evaluation from the University of Maryland in 2006, preceded by an M.A. in Measurement, Statistics & Evaluation from the University of Maryland in 2002 and a B.A. in Philosophy from the University of Maryland in 2001. His interests include methodological investigations and applications in psychometrics and statistical modeling, focusing on item response theory, structural equation modeling, Bayesian networks, Bayesian approaches to inference and modeling, and assessment design.